Located in Batavia, IL, Tour Edge manufacturers and sells golf clubs under both the Exotics and Tour Edge brands. 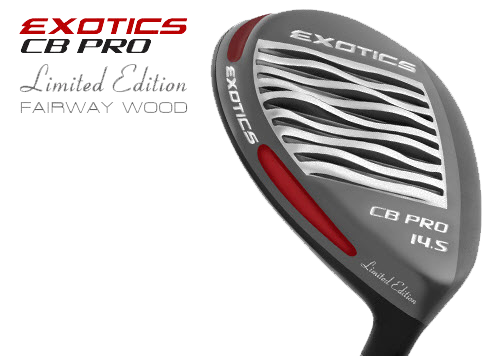 Exotics golf clubs are for those who demand the finest performing golf clubs in the world. With experienced designers and smaller production runs, Exotics by Tour Edge can bring futuristic technologies to the marketplace months, even years, ahead of its time. Exotics’ manufactures the finest quality, high-technology golf clubs and hand-assembles them one club at a time. The company’s clubs are distributed throughout the United States and the world. High resolution images are available at www.touredge.com. Enjoy a 20 minute close captioned clip from our Tour Edge/Exotics Golf Webinar below. The full webinar is now at our Webinar Link under Members Only. Tour Edge/ Exotics heads are now available to qualified ICG members internationally. With this revolutionary speedXbond machine it is possible to debond every type of club and fast bond club heads in seconds. Directly after cooling down (within minutes) vou can play the fitted club. Watch the first 18 minutes of the SpeedXbond webinar. Members can watch the entire webinar via our ICG Webinar Link. You can learn more at the SpeedXBond web site. ACCRA Golf prides itself on creating the best possible innovative products with the primary concentration on custom club fitting. No shaft company is more dedicated to the Professional Club Fitter. Innovation and research represent the distinguishing traits of ACCRA: a company that has embraced the challenge of new technologies with the primary aim of creating value. We attribute significant priority to the improvement of performance combined with the partnership with the world's most talented professional club fitters. Played and Fitted by the Best! Enjoy a long clip from the ICG Accra Webinar. ICG members can watch the full close captioned webinar with Gawain Robertson and Kim Braley here. The Drop-In weights from Balance-Certified Golf, Inc. have revolutionized the game of golf. It is the first counter-weight technology to bring golfers of all abilities the opportunity to tune every club in the bag to their particular swing. Award winning performance will give enhanced feel, increased distance control and lower scores. Proven fitting systems allow golfers to feel and see the difference immediately. The Drop-In weights are "engineered" for all golfers, all techniques and all brands of clubs. Enjoy a 10 minute clip from the ICG Balance Certified Golf webinar. ICG members can watch the full webinar and take advantage of the ICG special in our members only section.